Are you interested in coaching gymnastics in a fun and safe environment? Do you have a nurturing spirit for children and and interest in building a child's self-esteem while helping them learn gymnastics through progressions? 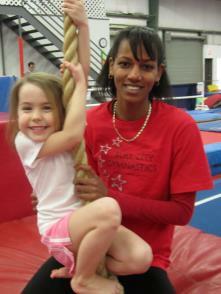 We are always hiring energetic, enthusiastic instructors with a passion for gymnastics. Bull City offers competitive salary rates and flexible schedules. Experience is preferred, but not required - we will train the right candidates! Call Bull City at (919) 383-3600 or email hr@bullcitygymnastics.com to inquire and submit an application to start your gymnastics career today!